There's nothing worse than being forced off the road due to some faulty parts! Especially if you're used to cruising the streets on a Harley. In this article, we check out reputable sites offering Harley Davidson parts online for a decent price, hopefully saving you a few bob in the process! If you are the proud owner of a Harley Davidson then you'll know the capacity your dream machine has to turn heads on UK streets. Being forced off the road due to faulty parts is the ultimate nightmare of any enthusiast, and sometimes sourcing these parts in the UK can be an absolute nightmare. Fortunately, there are a host of sites offering these parts to riders in the UK, and you can pick them up for some bargain prices if you know where to look. We've done some of the leg work for you, picking out a number of sites for you to check out to find Harley Davidson parts online. The first site we suggest checking out is Hog Parts, and this company specialises in parts for Harley Davidson bikes at hogparts.co.uk. 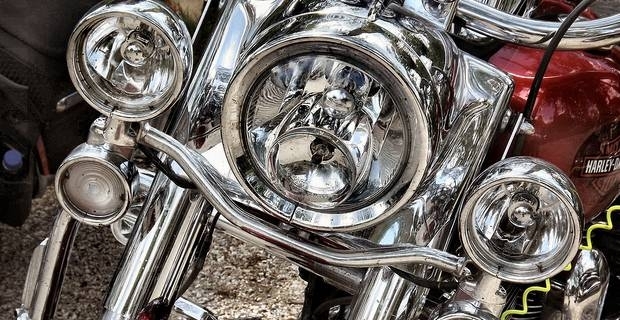 Hog Parts offer the full range of Harley parts for every model, and if they don't have a particular part in stock, they are committed to getting it in within 24-hours, meaning you'll be back on the road before you know it. Another site offering some fantastic savings for UK Harley owners is V-Twin Mania, and you can find them at vtwinmania.co.uk. This site doesn't just specialise in Harley parts, instead they carry parts for all powerful bikes. However, their Harley section is substantial, meaning you should be able to find the part you are looking for, often for a huge discount. The above sites are extremely reputable sites offering a huge range of parts for your Harley, all at reasonable prices. Sourcing Harley Davidson parts online doesn't need to cost you a fortune, so just do a little research and you should be able to pick up an absolute bargain. Happy shopping!